Description: Bengal lights - the simplest way to organize a holiday for yourself, your family and children. Bengal lights got the name thanks to ancient Indian craftsmen, who lived in Bengalia. Put a holiday spirit on your desktop! Description: One of the most popular American car brands. Such auto icons as Impala and Corvette and many other remarkable and well-known realizations of auto thought are related to this high-class brand. All the best from Chevrolet is right on your desktop. Description: Everybody knows that elves and other magic creatures can only be found in fairy tales. 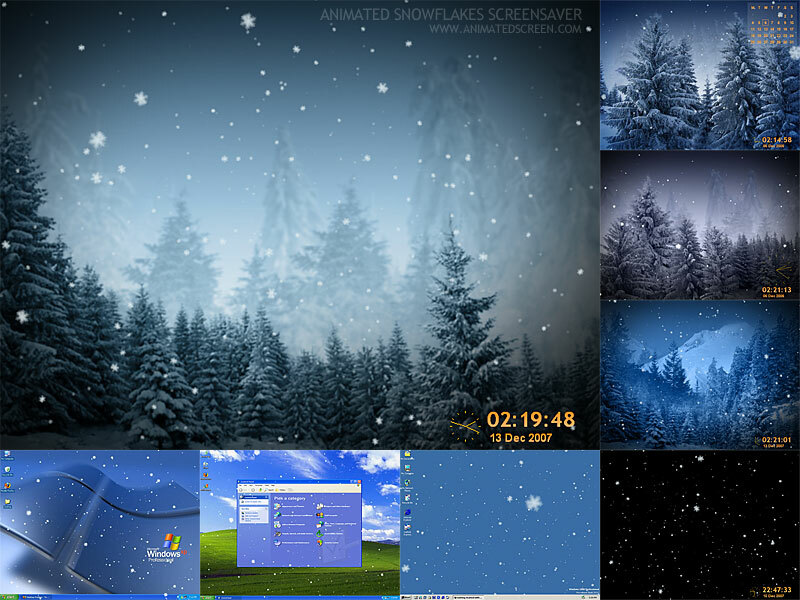 But not all of us know that new Christmas Adventure screensaver can make those fairy tales come into reality! Now you are given an ultimate chance to watch Santa Claus, elves and lots of funny animals making arrangements for Christmas. Hurry up! The North Pole Express leaves right from your computer screen welcoming you to take part in merry Christmas haste. Description: Christmas comes alive on your desktop with these beautiful candelit Christmas scenes. Photorealistic flickering candlelight illuminates five different holiday scenes sure to brighten your desktop and your holiday season. Each scene is unique and features up to four beautiful moving candle flames casting light over the whole scene in real time right before your eyes. If you have one screensaver this holiday season, make sure it is this one. 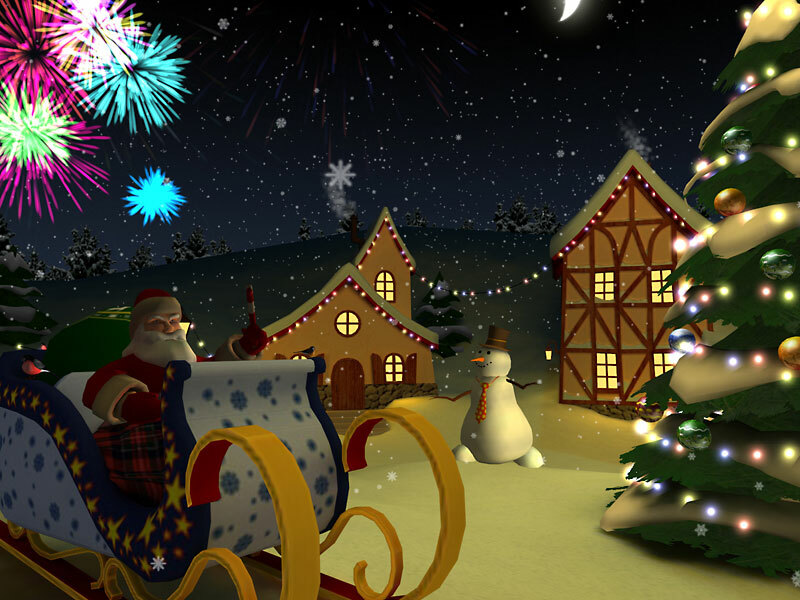 Description: Turn this animated 3D screensaver on and the holiday atmosphere of upcoming Christmas will surround you. Special festive music and brilliant colorful graphics will bring true holiday feeling to your desktop. Now you don't even need to wait for the event. Just start this 3D screen saver and get the Christmas experience anytime you wish. 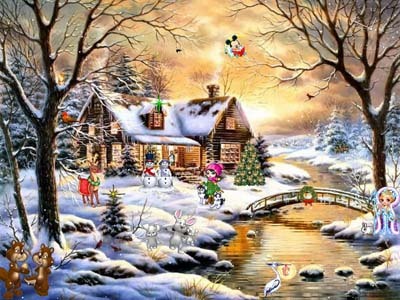 Description: This terrific christmas screensaver will help you feel the magic of the Christmas Holiday. You will find yourself in a quiet winter forest with a few cottages scattered around. Everything is covered with snow and the nature is waiting for a miracle to happen. A huge Christmas tree in the middle of this peaceful setting and the outstanding background music add to this unique holiday mood. Santa is definitely paying a visit to this place! Description: This is the pefect FREE screensaver for Christmas. Three 3D Cubes move and rotate around the screen, beautiful Christmas images are shown on each side of the cubes as they rotate, also a nice colored confetti animation is being shown. This is the perfect screensaver for home or the office ! This screensaver contains NO Spyware or Adware, it is completely safe.